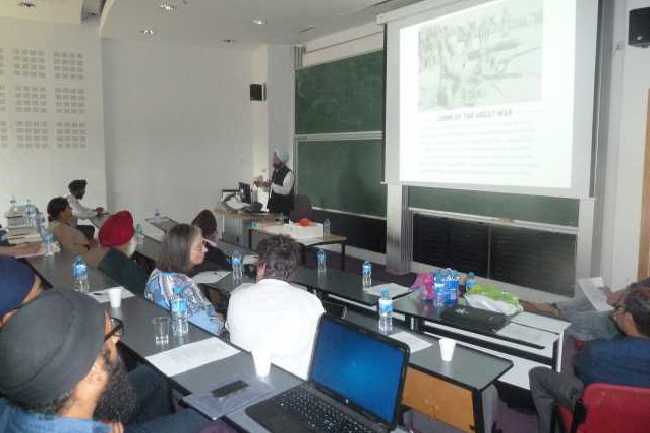 Keynote Speaker: Sodhi Vikram Singh, Chairman and Managing Trustee of the Anandpur Sahib Heritage Foundation was invited as the Key Note Speaker at the International Sikh Research Conference 2016 at the University of Warwick , UK on 11th June 2016. Many speakers from all over the world presented papers relevant to their areas of Study. Details of the conference and speakers are available at the www.sikhconference.co.uk website. The Foundation has become active in international forums and promotes a better understanding of the historical role and significance of Sri Anandpur Sahib to the Sikh faith.